Just got my Mavic 2 Zoom today. What an excellent piece of machinery compare to my previous Mavic Air. Now DJI has to get their act together to have the Compatibility with thoses 2 product. I didnt pay SH*** load of money to not be able to use the Crystalsky. Yah, I&apos;m with you too.. I bought the Crystalsky a couple months ago and just opened it up last night to use with the Mavic 2 Pro, nope. Anyone know how long it normally takes for them to update the app for Crystalsky after release of new products? It is usually long.…….I think the Mavic Air is not fully supported yet. So we might be in for the long ride. 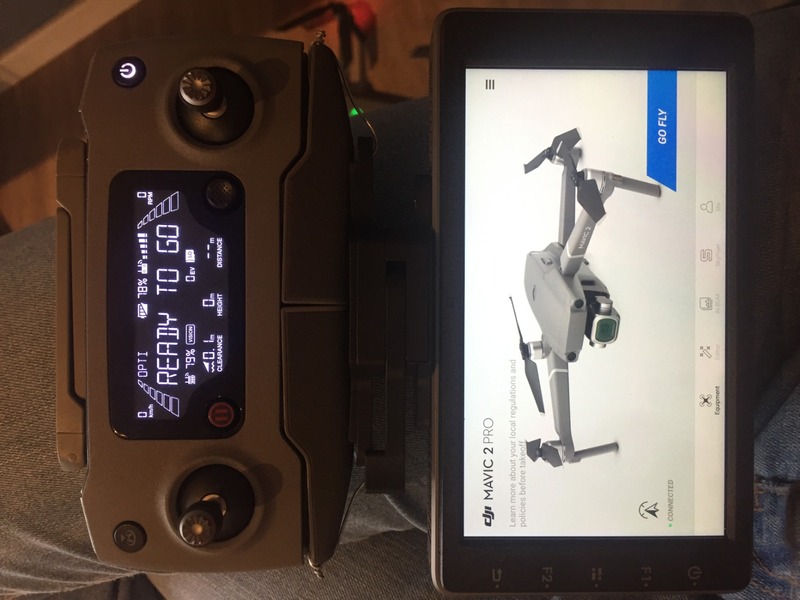 I ve seen that they will come out soon with a Mavic 2 controler with CS screen built in. Yeah color me disappointed. I too would rather use my crystalsky with my Mavic 2. Thankfully I didn&apos;t get rid of my Nvidia shield. I don&apos;t like using my phone when I fly. There is something wrong when Crystalsky is always so far behind updating app, pressure needs to be put on dji not to turn their back on those who forked out a lot of money on their technology. HI - Same here poor show really DJI have answered my feed if you are interested and have said they will update the feed as soon as it is realeased hopefully soon ! 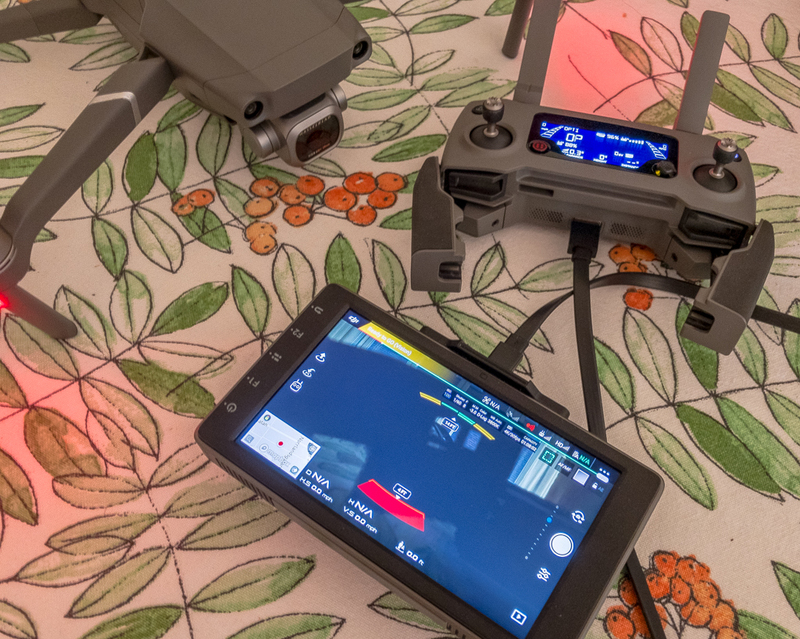 DJI Crystal Sky does not work with Mavic Pro 2 ! This is probably biggest aspect I’m not looking forward to with Mavic 2 Pro. I was hunting for a CrystalSky compatibility but no dice. Anyone know of a screen overlay that would make a mobile device brighter or shielded from Sun? The hope is if they are releasing a CS built in controller that we might get the benefit of more frequent updates...at least that is my hope. It is frustrating to use my iPhone while I wait for CS compatibility. Very disappointed that my 700.00 CS monitor will not work with Mavic 2! Comeon DJI! WTF! Hi, we&apos;re sorry for the inconvenience. We know all of you are excited to use CrystalSky on the new Mavic 2 Pro/Zoom. As of the moment, we still don&apos;t have any update regarding on that. We are currently working on that. Please stay tuned. Thanks for your understanding and support. I was so excited to receive and fire up my Mavic 2 Pro today. Incredibly bummed to discover that not only did the CrystalSky mount from my Mavic Pro not fit...but that the device is not even compatible. Crossing fingers that DJI will address both issues asap. Do I need to return my Crystalsky since I purchased it with my Mavic 2 or will there actually be an update that will support the Mavic 2? Hi. Our team are currently working to make it possible. Please stay tuned! Thanks Natalia! I will hang onto it then! Hope to here back soon! You will be hanging on for a hell of a long time. I will be surprised if they ever give us an update. They want to release a new controller and think that we are morons and will pay them again for more useless junk to replace the junk we already bought. Just like Apple you better learn how to root your DJApple device if you want any real ability to utilize it to its full potential. It open under the old Mavic, but can&apos;t use most of the function, Battery level are not displayed. So people know what they are buying it for such drone. Well you will have to forgive me for giving them a chance since I am new to DJI. No worries! Thanks for your support. As of the moment, we still don&apos;t have any update regarding on that. Really hard to believe, with Email and Phones. Or when on same corporate campus, walk over to CrystalSky Team offices. Excluding weekends and holidays, should take less than 24-hours to get an update. This thread alone has been viewed over 1000 times in 10 days.. This should give DJI a good indication of how many people are anxious to get the update. I purchased the Crystal Sky 7.85" ultra bright along with the power supply, a/c cord and screen cover for over $1,100.00 to use with my new Mavic 2. It is now gathering dust until we receive the update! 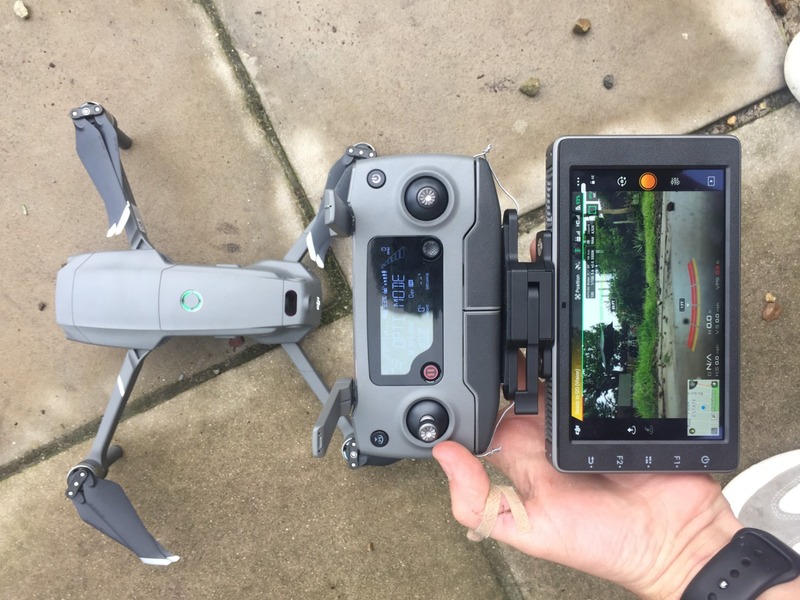 If everyone who reads this post leaves a comment it might show DJI that they really need to get this done a.s.a.p..
TBH I&apos;m pretty disgusted the way DJI have treated Crystalsky users. Just read the crystalsky forums. Software glitches and bugs. Take for ever to be rectified with updates. In all honesty Id I could send it back for a full refund I would. And get myself a top of the range Ipad Pro that would work and pocket the £300 change to boot. Are they also fixing the screen record failure as well? Ya, I bought my 5.5" crystal sky with the Mavic 2 Pro as well. I know the CS has been the red headed step child of the DJI lineup for a while, but I didn&apos;t think it would take this long to get an update out to support their newest drone. Heck, it&apos;s their own product! Even if it&apos;s a small fraction of the Mavic 2 userbase, they still should make sure it&apos;s supported at the same as the other IOS and Andriod phones/tablets. Since "We are working on it", "Coming Soon" , and "Sorry for the inconvenience" have become DJI Trademarks" may we use them as payment options? CrystalSky and Mavic 2 Pro is possible, if you use Litchi Beta. This is not joke, it is truth. Yesterday, I try it!!! And Mavic 2 Pro fly good!!! But there are some problems to do it. 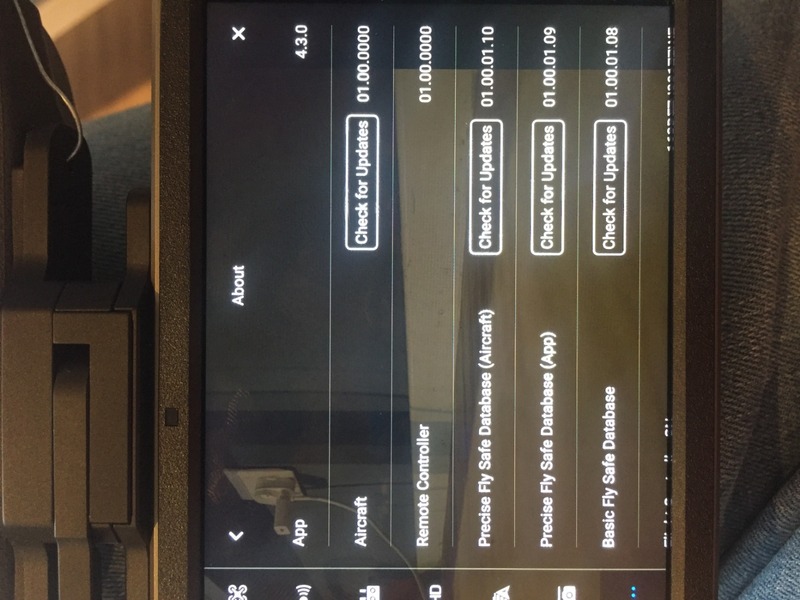 You must have Litchi Beta (on Google Play), you must root CrystalSky but not use firmware 2.6.6 (use 2.6.3 or older) and use bracket from Mavic Pro RC or Spark RC and replace grips with original Mavic 2 RC. It is work for 2 hours, but works!!! Do you fly with this version? With Mavic 2 Pro? And recognize 4.2.21 Mavic 2, or must enter other model? Yes I have done a test flight and it works except for the battery level percentage and some other stuff is not working in the app. The slider that shows the battery level works also you can see the battery level on the remote controller. Should be an interesting flight. I would say that this app is very usable. Thanks for your information, I try it after stop rain. My current Android cellphone loses USB contact to the controller all the time. Hope new firmware for the CS will be compatible to the M2P and available soon. Otherwise I&apos;ve to return the CS immediately! , there you go, lets see how that goes over. I don&apos;t know about everybody else, but I really had to struggle to buy the CrystalSky, and now I get it and after 3 tech support chats, NOW they decide to tell me it won’t work!!!!! I can&apos;t even find the words to describe how angry that makes me. This shows the character of DJI corporate, they are at the top of their game, leader in the industry and now they can get away with treating the user base like this. A CrystalSky firmware update just came out a few minutes ago. Is this a side load or over the air update?